Did you know that the Silk Road represents an ancient network of trade routes that were very important to cultural and marketing interaction between regions of the Asian continent. Its main function was to connect the West and East, from China and India to the Mediterranean Sea. Export Portal offers the unique opportunity to revive silk trade network in an easy way- online marketing. Plan your silk fabric selling project today and start gaining more customers and earn more income. Nowadays silk is an affordable luxury for the middle class in Europe and the USA. Silk clothes are popular because of their multiple benefits: natural protein structure, lustrous texture, hypoallergenic property comparing with other textiles. Discover on Export Portal a wide variety of qualitative silk fabric such as dresses, tunics, blouses, shirts, tops. You don't want to miss luxurious silk bed sheets, duvet covers, bedding sets, silk drapery and curtains. Be the part of a large worldwide market community! Sell silk online on Export Portal. Choose the best on Export Portal! 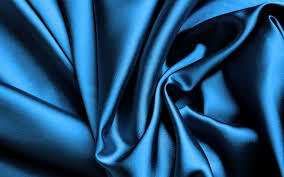 Shop for silk fabric from the wolrd's biggest manufacturers like Thailand, China, India, North Korea, Vietnam.